Gulf Coast Orthopedics: Brett E. Casey, M.D. Dr. Brett E. Casey has been a member of the Houma Orthopedic Clinic since 2004. In 1994, he completed his undergraduate education at Louisiana State University with a Bachelors of Science degree in Psychology. He obtained his medical degree in 1999 from Louisiana State University Medical Center. Dr. Casey’s orthopedic residency was completed through Texas A&M University Health Sciences Center, with rotations through Scott and White Memorial Hospital, Olin E. Teague Veterans Center and the Shriner’s Hospital for Crippled Children. Dr. Casey received his Orthopedic Board Certification in 2006. 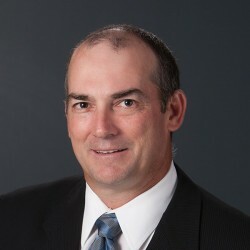 He has completed courses in anterior total hip replacement, arthroscopic rotator cuff repair, treatment of the athlete’s knee, repair of the throwing shoulder, as well as numerous other continuing medical education courses. He is proficient in minimally invasive knee replacement. Dr. Casey is currently on staff at Terrebonne General Medical Center, St. Anne’s Hospital in Raceland, Gulf Coast Surgical Center and Physicians Surgical Specialty Hospital. Gulf Coast Orthopedics is a leading orthopedic practice serving South Louisiana with offices in Houma, Thibodaux, Raceland, Morgan City, and Galliano/Cut Off. Lead by six renowned board certified orthopedic surgeons, Gulf Coast Orthopedics is committed the highest standard of patient care using the most up-to-date and cutting-edge procedures. Gulf Coast Orthopedics respects your privacy. We understand that your personal health information is very sensitive. We will not disclose your information to others unless you tell us to do so, or unless the law authorizes or requires us to do so. This website does not in any way indicate a diagnosis or prognosis for surgery or treatment nor does it replace any information or instructions given to you by your physician and/or physician’s representative. This website is designed as a tool for basic procedure overviews and will provide links to the American Academy for Orthopedic Surgery. For more information on orthopedic procedures or to schedule an appointment, please contact the one of our offices.